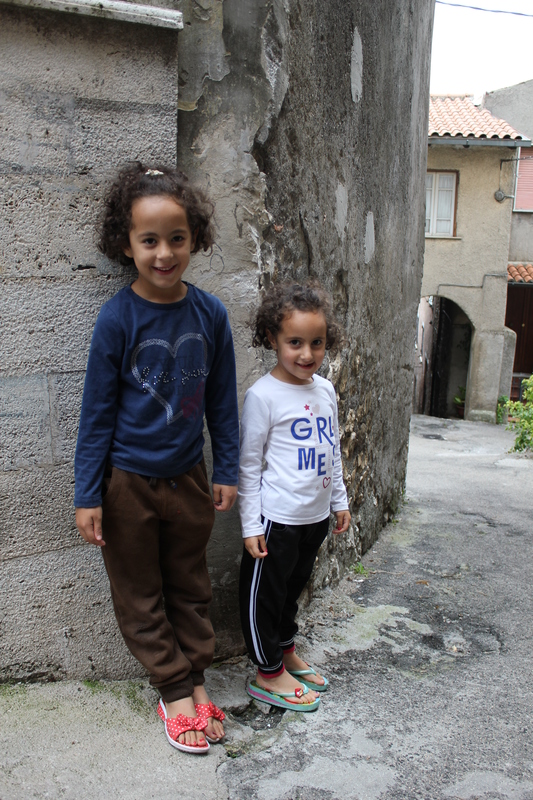 Two blog posts in one day…well, it’s a day worthy of two, at least! 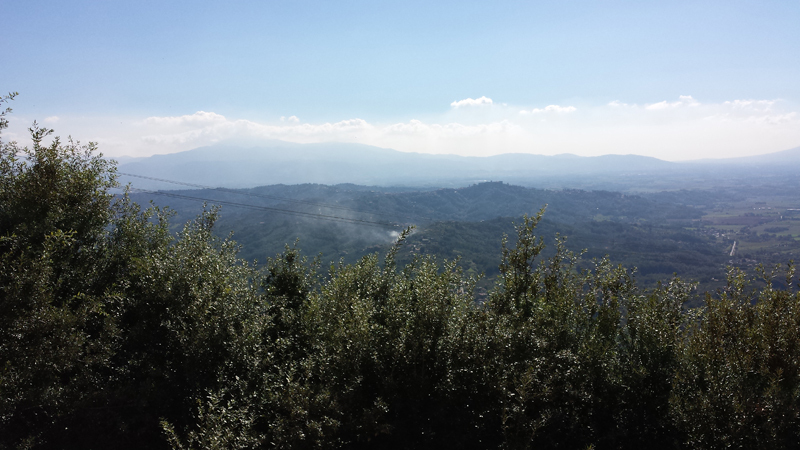 We visited La Selva, a nature preserve and one of Italy’s National Parks, located a stone’s throw from the hilltop town of Paliano. 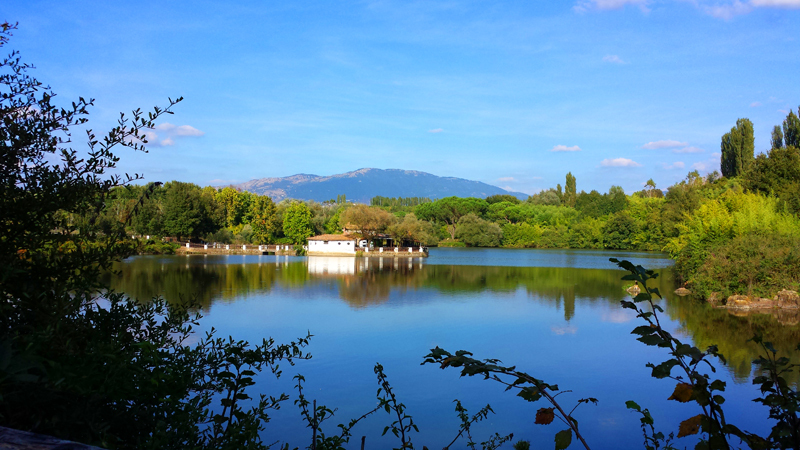 It’s one of several “incantevole” (enchanting) places we’ll paint during Discover Ciociaria II. 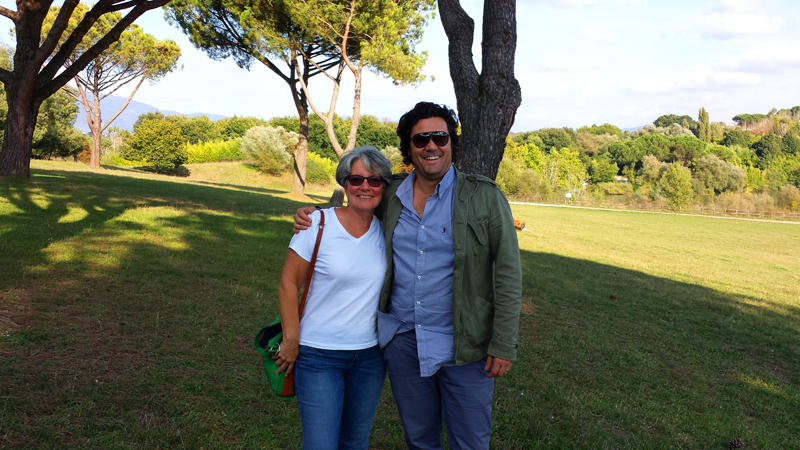 Thanks to Simone Marucci, one of the Town Council members of Paliano, for arranging the visit and also for our upcoming day of painting at La Selva. Local artists as well as our group will be at La Selva for a day which will include a picnic and folk music! 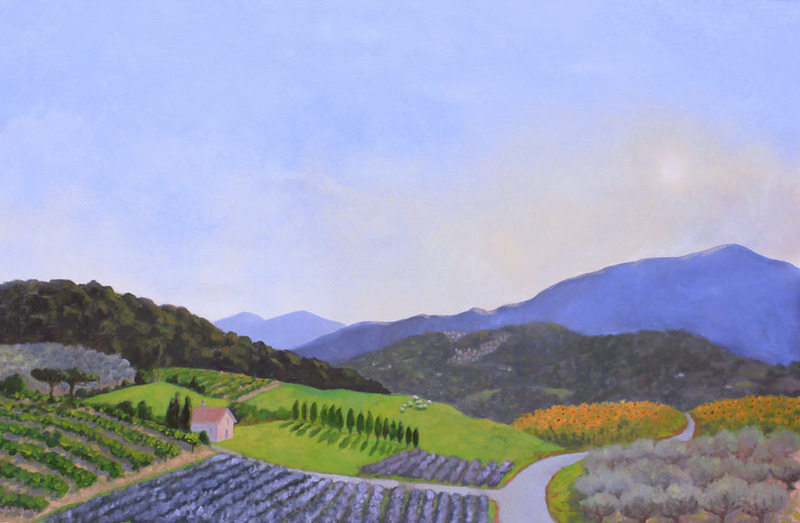 Another fantastic opportunity to paint…right inside a vineyard (vigneto), where the grapes which become the famous Cesanese del Piglio vino rosso are grown, awaits our group. 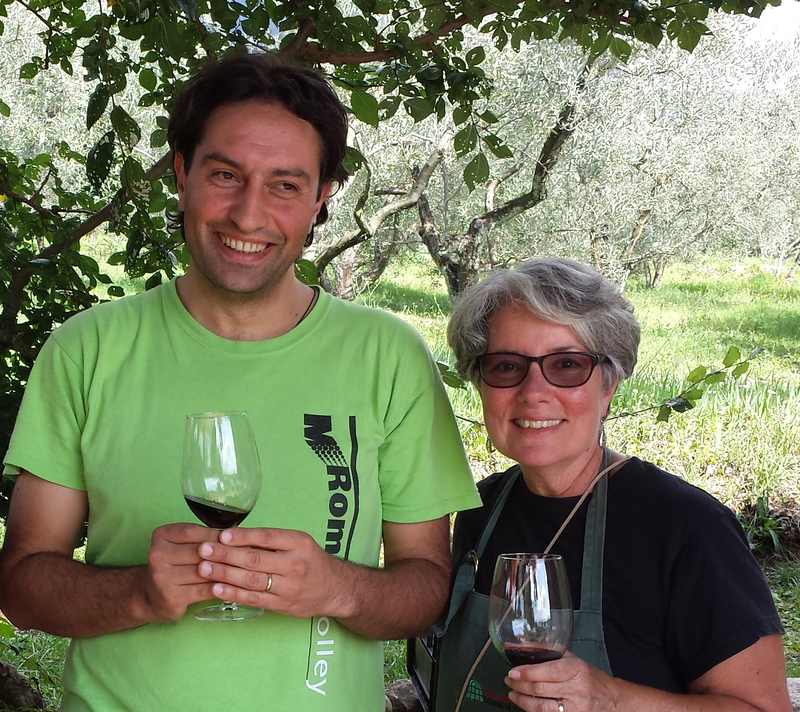 We’ll be painting at the Terenzi vineyard, in Piglio, thanks to our gracious hosts, the Terenzi family. 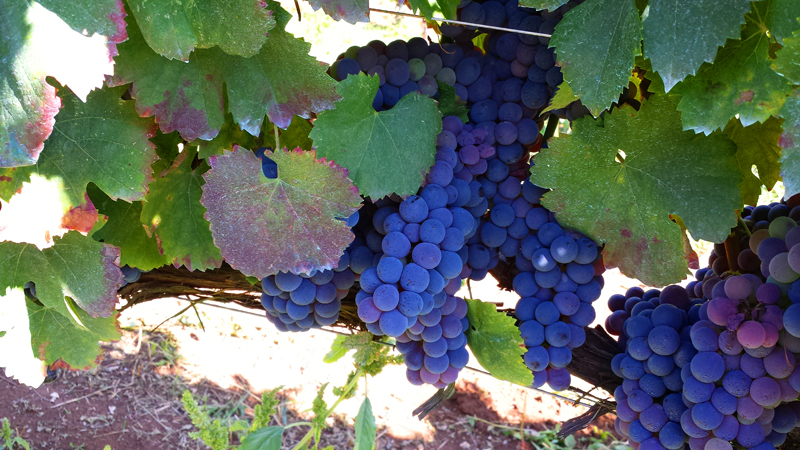 The grapes of the Azienda Agricola Terenzi…awaiting their fate…soon they’ll become Cesanese del Piglio. 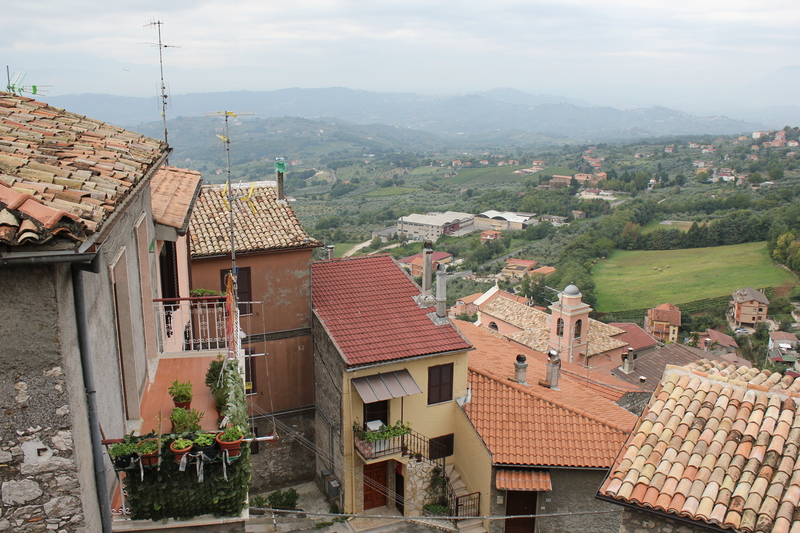 Cesanese del Piglio, said to be the wine of kings, popes and Roman legions, has been grown in the valleys and along the slopes of the Ernici mountains for centuries. The climate and calcium rich soil of Piglio is considered optimal for growing the grapes which eventually become the rich red and strong wine. 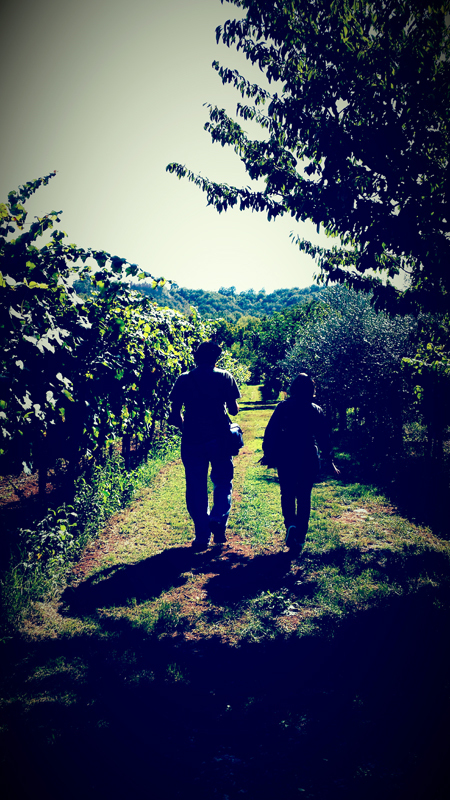 On October 6, our group will celebrate the harvest of the grapes at the Sagra dell’Uva Cesanese…a jolly frolic of wine, food and the occasional spontaneous breakout of accordion music! 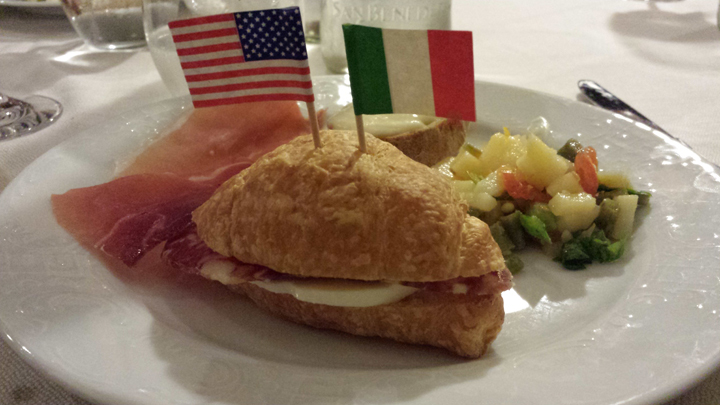 Arrived at Leonardo da Vinci airport yesterday, after a pleasant, long transatlantic flight on AerLingus. A pleasant surprise greeted us at JFK Terminal 5, as we made our way to Aer Lingus…from the I Love NY tourism people, a great banner featuring our very own Saugerties Lighthouse! 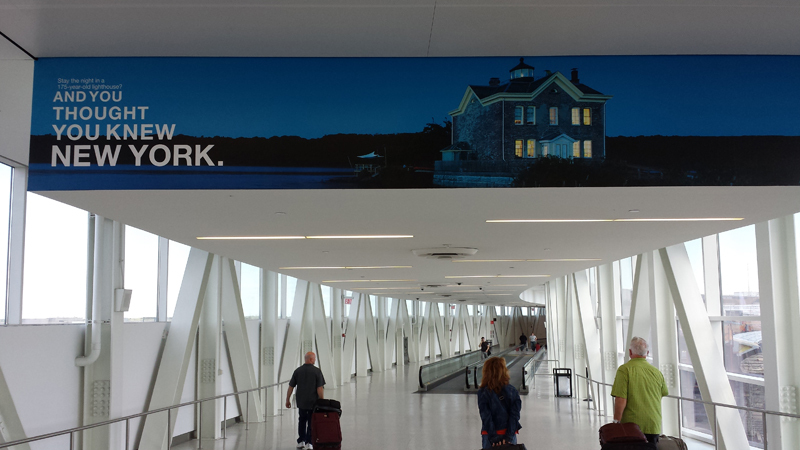 Banner at JFK…featuring the Saugerties, NY Lighthouse! 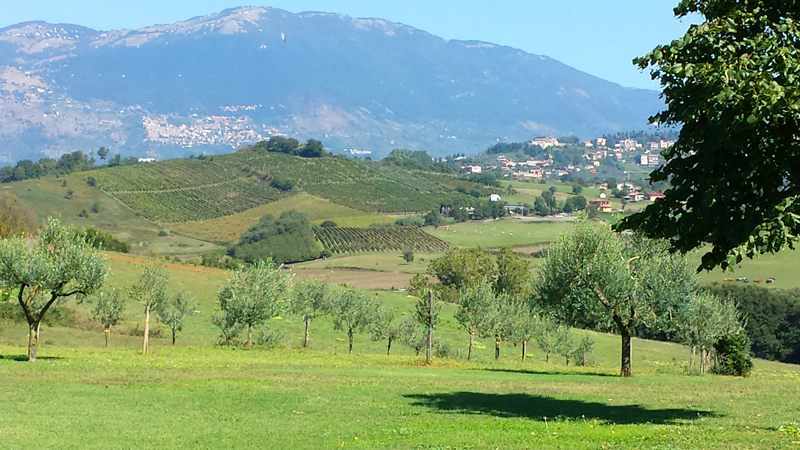 Woke up to clear skies and a quiet morning in Serrone, high in the mountains only 50 miles from Rome. The weather is fine, sunny and with a gentle breeze. 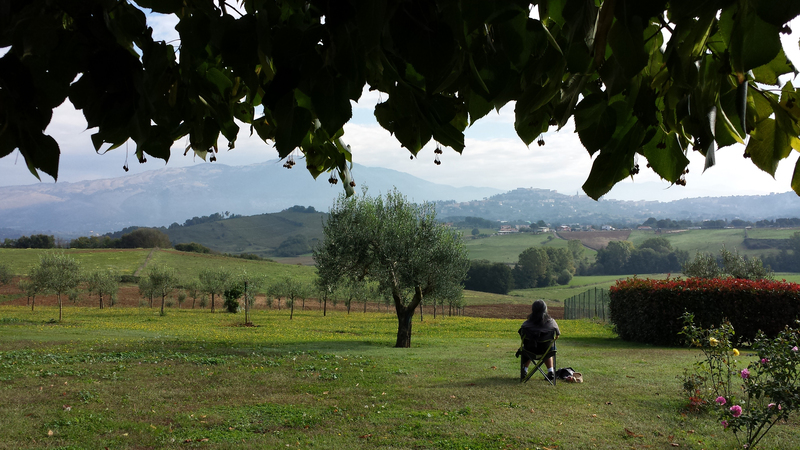 Today Giulio and I checked out a few places to paint and we have found a beautiful place, La Polledrara, agruturismo, just outside the city of Paliano.The view is perfect! 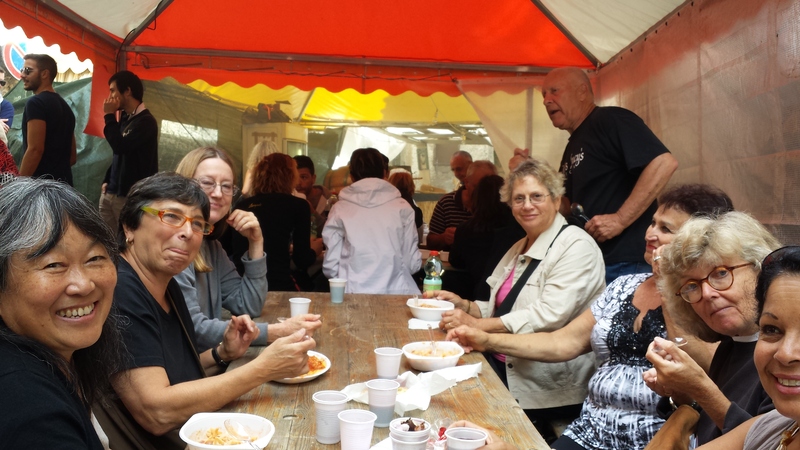 So, we’re settled in, the challenge will be to try not to eat pasta every single day…not an easy task…it’s so good! We’ve had it, with Cesanese wine of course, two out of two days. (or maybe, we’ll just take longer walks). Today, we’ll be visiting a vineyard of the Terenzi family, one of the premier producers of the Cesanese del Piglio wines. We have been invited to paint there during our visit. 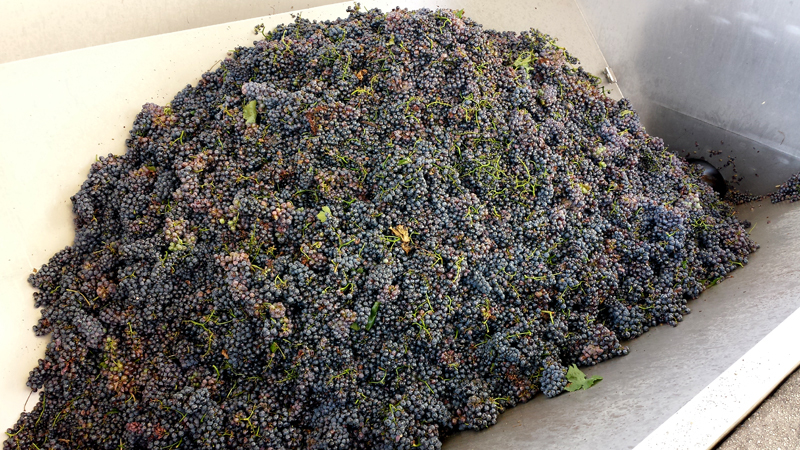 Here’s a look at the harvest…la vendemmia dell’uva…soon to be transformed into wine! Looking forward to greeting the first of our 10 guests tomorrow morning, bright and early, at Leonardo da Vinci airport. 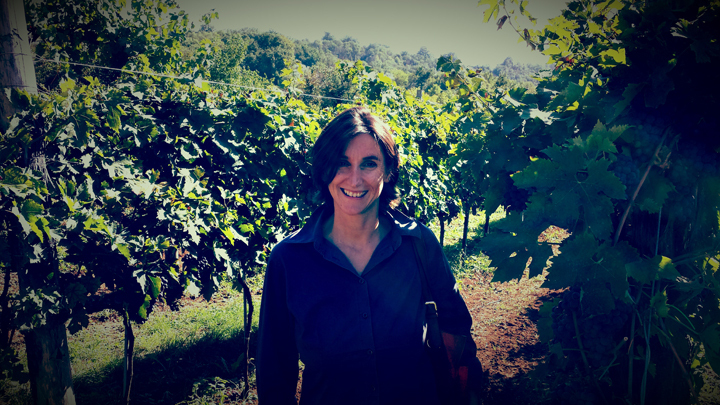 Stay tuned, and I’ll keep you updated on this year’s edition of Discover Ciociaria (DCII! )…we have lots of adventure and surprises in store!